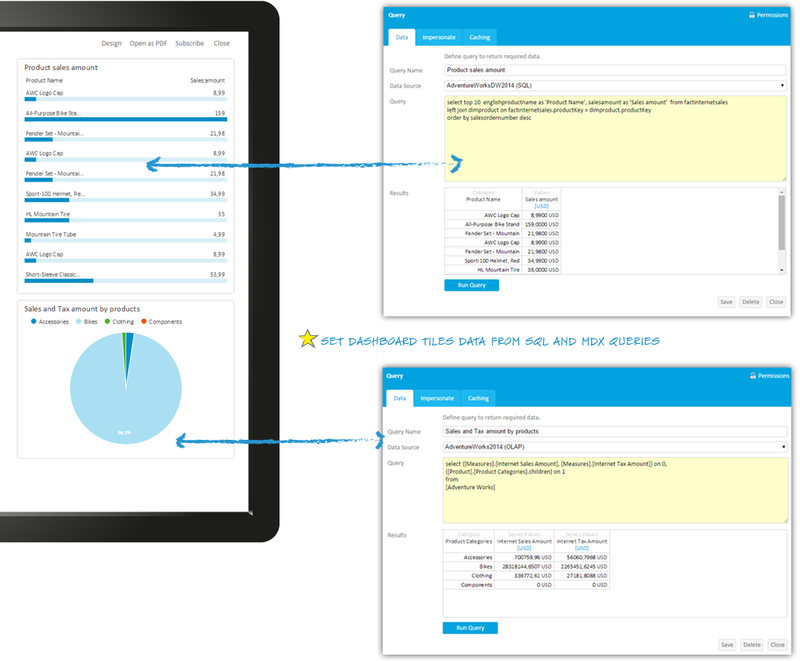 Dashboard design and connecting with your data is a simple task with Kyubit BI software. Drag-and-drop appropriate tiles (charts, kpis, gauges, tables, etc.) and set data feed for each tile. 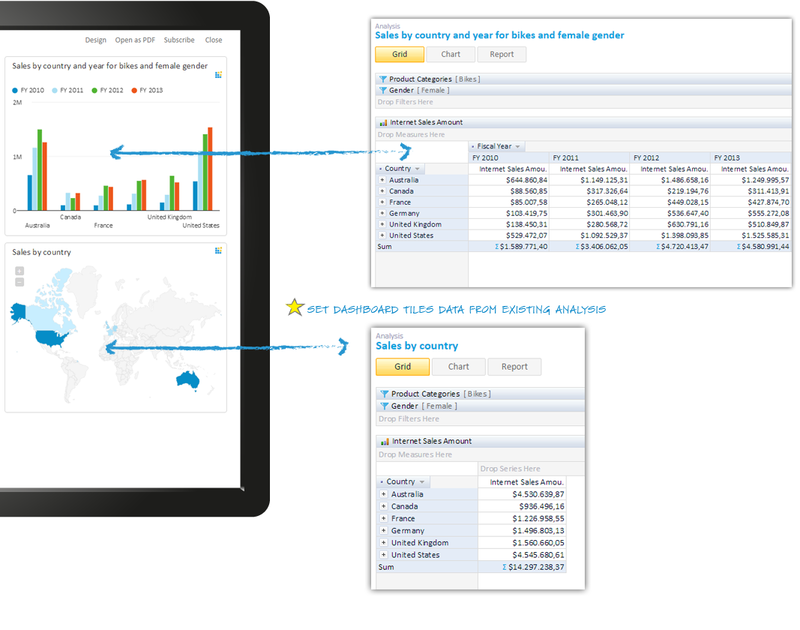 There is previously created OLAP analysis within Kyubit Business Intelligence application. In dashboard design mode click edit tile icon. Under 'Tile details' set existing analysis to be data feed for particular dashboard tile. Under 'Tile details' set existing or create new SQL or MDX query to be data feed for particular dashboard tile. Click filter icon in the upper-right to toggle slicers display. Set OLAP dimension members that would be slicer for all tiles based on same OLAP data source. Slicers set in design time are default slicers for the same dashboard in usage time. 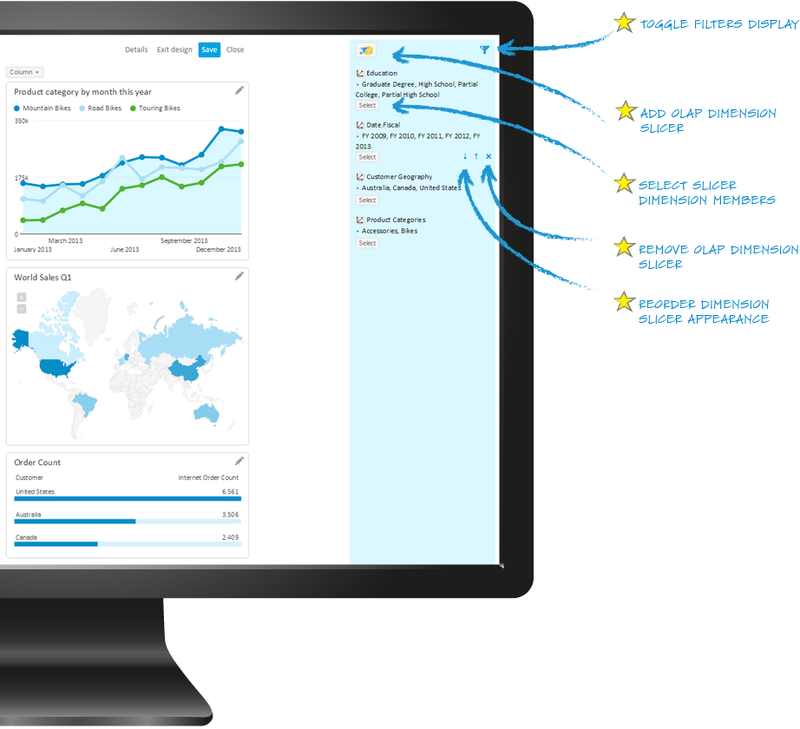 While users are using dashboard, they can temporary change slicers to analyze dashboard data of their interest.